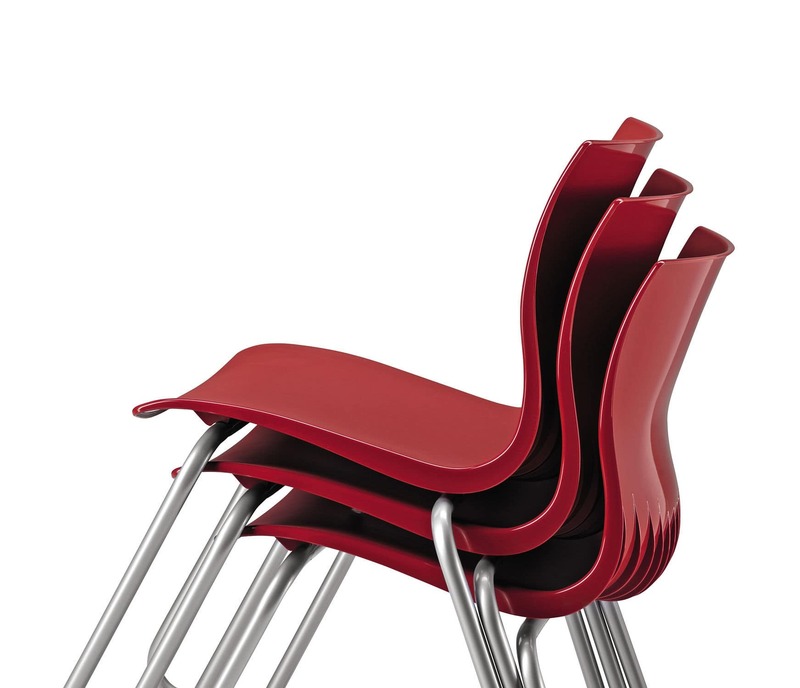 Stacking Chair, nylon F.R. 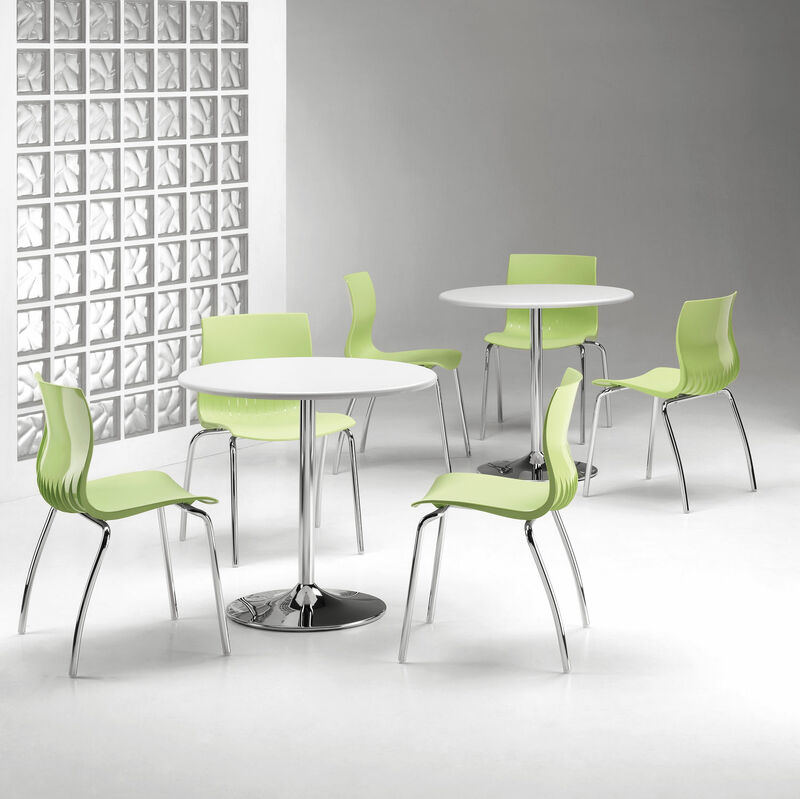 monocoque available in various colors. For version Webplus body covered in F.R. interlaced flexible mesh. 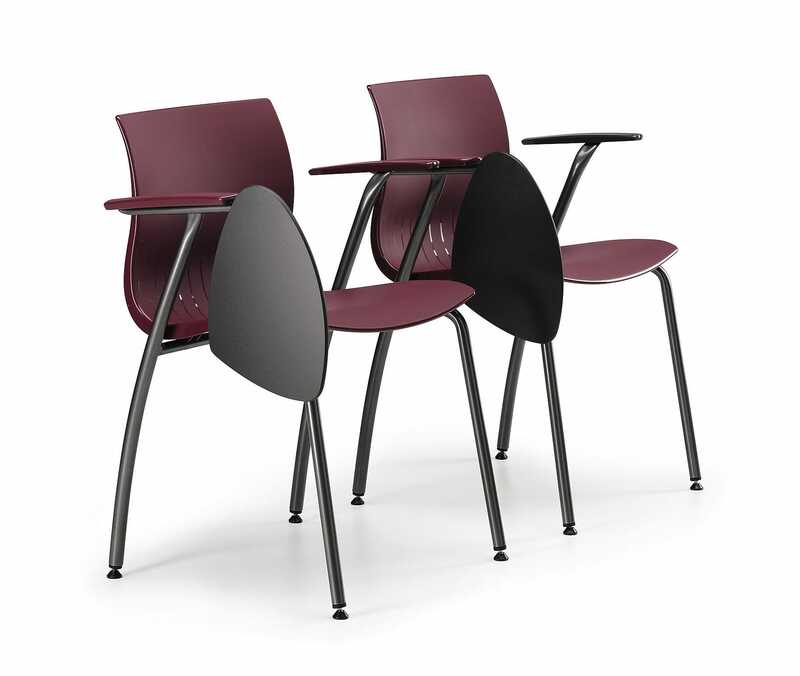 Available Stool version and/or 4 legs with castors one. 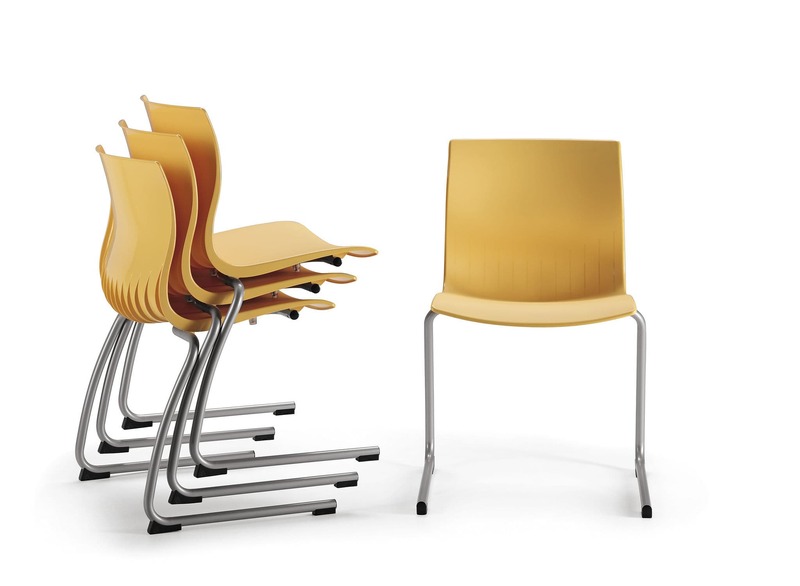 Available swivel version with gas lift and/or with tilt mechanism Compact-Line. 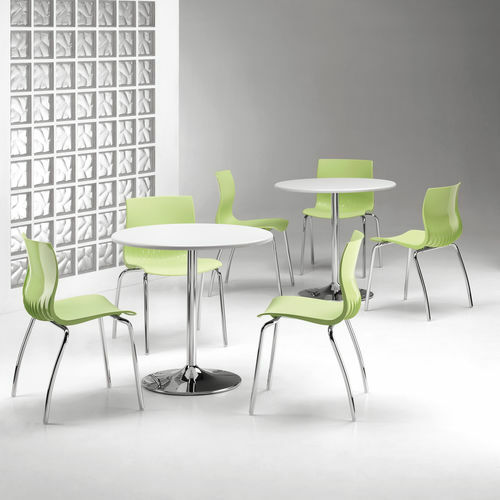 Ideal for: conference rooms, meeting tables, schools, cafes, bars, office. Optional: Front panel padded and upholstered seat or seat and back, connecting ganging, left tablet, big size tablet for PC, transport dolly, floor metal bracket alignment.